Book lovers – you may interested in a great deal we have with SpringerLink. Staff and students can order their own personal printed copy of an e-book for £24.99, including postage and handling. With nearly 14000 Springer titles to choose from you are spoilt for choice! published from 2005 onwards, with less than 832 pages. with an option to order directly from an e-book record. Each POD book is branded as a MyCopy book and has a cover in colour, and content in black and white. Illustrations that are in colour in the e-book version are monochrome in the corresponding MyCopy book. Interested? Linking to SpringerLink can’t be simpler. 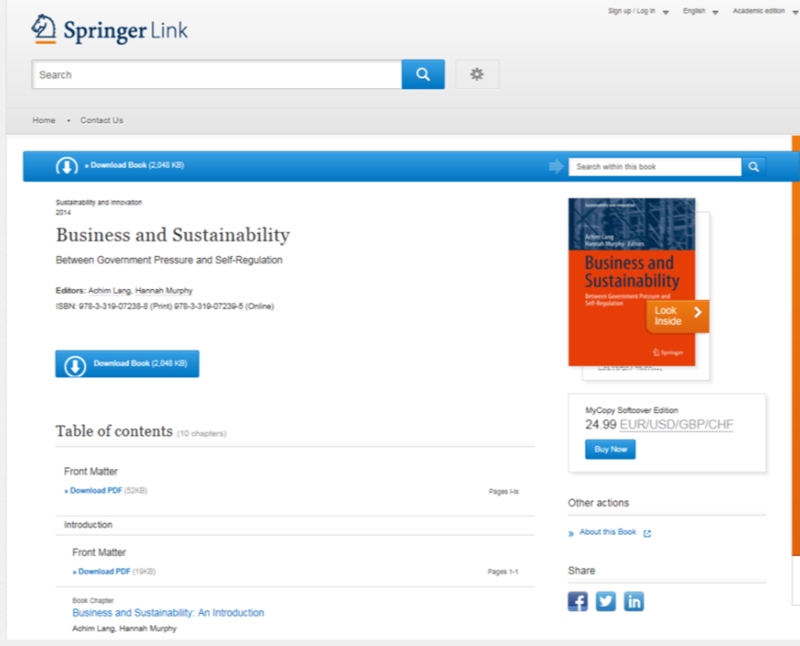 Go to the Library home page and search for springerlink in the Search Our Collections box. Use the link provided in Primo to access the collection. Springer is one of only a few publishers that permit you to legally download a whole book to your computer or mobile device to keep indefinitely for your own personal educational or research use. Please do not share or send the electronic (or paper) copy with anyone else. If you cannot read materials in full text when working off campus, look for the Sign up / Log in link on the on SpringerLink website, then select the Institution /Athens Login option. Next, find your institution and Login via Shibboleth using your University computer username and password. To limit your search to full text books only when browsing the collections make sure you ‘deselect’ the Include Preview-only content. To read a book online, or download a copy to your own computer, click on the title to open the record and select the relevant option to Download Book or download/save/print a PDF file of an individual chapter. You will also see an option to buy a POD copy on a book record. As you can see our SpringerLink package offers a great deal. We really hope you enjoy this service.